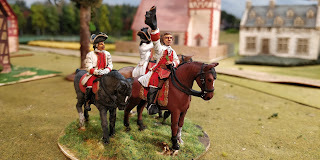 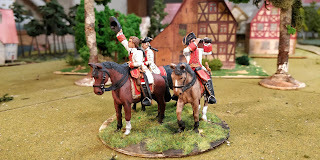 Back in June 2013 I did a base with 3 mounted officers as my Kommandierenden General but I was never really happy with it so I have reworked it this time using mostly Front Rank figures. You can see how substantial these figures are as they are the two on the right. 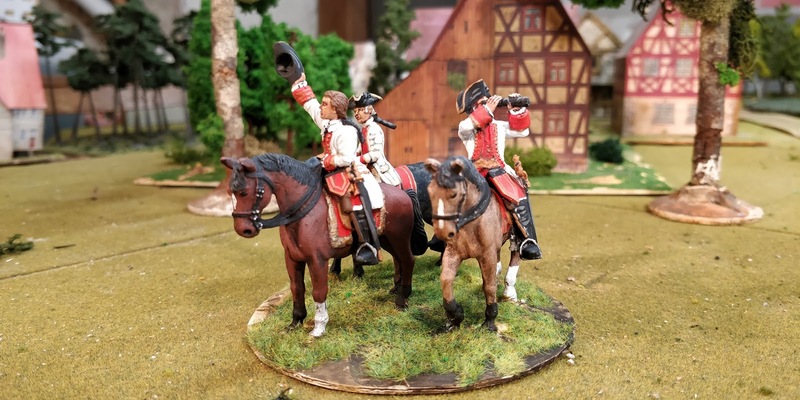 The chap on the left if from Matthias Manske and it is rather crude in comparison to FR and significantly smaller requiring stacking under the horse's base. 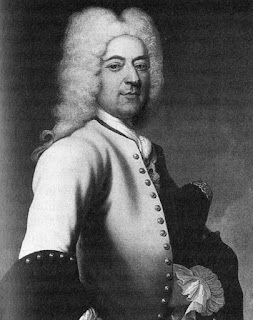 I've not been sure who to represent but I have ended up by doing Wilhelm Reinhard von Neipperg in the uniform of a Feldzeugmeister or Full General of Infantry. 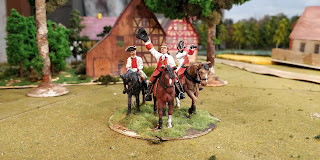 He was, of course, commanding in the disaster that was the Battle of Mollwitz but, had he won, he might not have 'retired' and might well have served in the SYW.